If you are going to invest in gold bullion, it is important to know how to tell the difference between fake gold coins and the real deal. Although not extremely common, there have been counterfeit gold bullion coins that were detected after these fakes had been purchased and sold, sometimes a number of times. Even experienced precious metal dealers may be fooled by high quality fake gold coins, if these are an expert forgery. There are some things that you can look for which can help you detect some of the more obvious fakes, so you lessen your chances of being scammed when you acquire your precious metals investment. 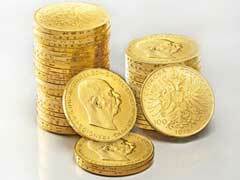 Fake gold coins have been found across almost all types, but a popular ones to copy seems to be Krugerrand gold coins. One way to avoid any fake items is to only deal with a very reputable dealer, one who offers a return policy and who you trust to make it right if any British Sovereign gold coins or other types are determined to be fake. This can help prevent any losses on your end. Look at the color of the coin, and determine the weight. Tungsten seems to be a popular metal used to create fakes with the result that the weight and density of the final result is correct without affecting the diameter or thickness of the coin. No matter what coin you are considering, whether it is American Eagle gold coins or those from another country, it is possible to find fakes. Chinese Panda gold coins, gold Maple Leaf coins, and others have been copied with varying rates of success. Look at the diameter and the thickness of the coin, because often in poor quality fake gold coins these details will be off. The stamping on the front and back may also be slightly off or distorted, and this is another giveaway that the coin may not be authentic. Another trick to detect forged numismatics is to rub them with a soft jeweler’s cloth. A genuine coin will leave no residue, the fake one, on the other hand, will have the gold plating partially removed revealing what’s underneath. Sometimes forged coins might tarnish easier and leave odd residue and smell on your hands. A magnet test is an inexpensive and fast way to tell whether you are looking at a real deal or fake. Pure gold will not be attracted by a magnet and a base metal that a forgery contains will. Please deal only with reputable coin dealers and do not buy questionable numismatic or bullion products on EBay from sellers with poor or limited feedback.